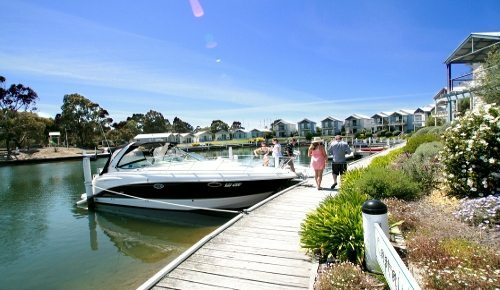 Our guests have direct access to the Gippsland Lakes, Paynesville, Raymond Island, Lakes Entrance, Metung and Lochsport. 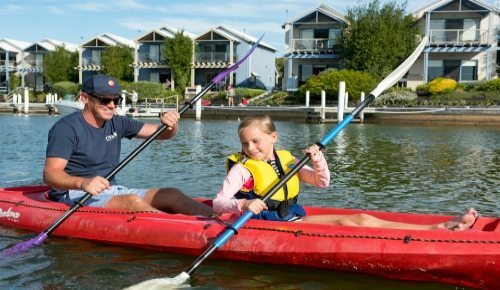 Only a 5-10 minute walk to the Esplanade which is Paynesville’s strip of cafes, restaurants, boutiques & supermarkets, this waterfront holiday accommodation is perfectly positioned between gardens and the water, with both boating and land-based activities available throughout Paynesville and Gippsland. 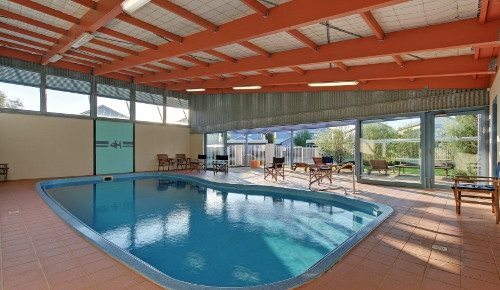 We welcome our guests to take advantage of Captains Cove Resort facilities which include an indoor heated pool, tennis court, bike & kayak hire, fish cleaning area, car & trailer parking & boat wash. Our 7 day a week Reception offers friendly service & lots of travel information so your holiday is the best that it can be! 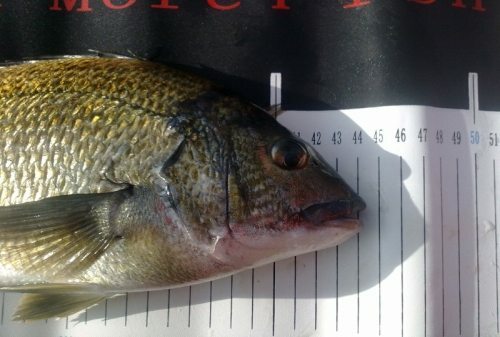 Enjoy the birdlife or have a fish from your private deck & jetty. 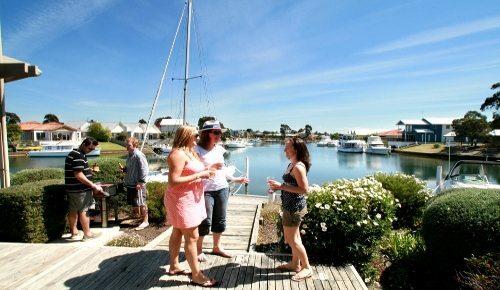 Just a 5-10 minute walk to the Raymond Island ferry and the Esplanade where you can enjoy Paynesville's eateries, wine bar & hotel. Kayaking from your doorstep. Captains Cove have a range of sit on top kayaks available for hire. Launch from the pontoon & explore the canals & waterways. 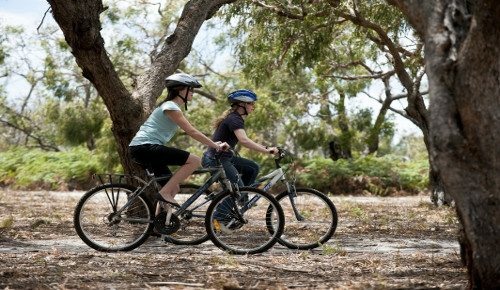 Explore the many bike tracks in Paynesville & Raymond Island. Captains Cove hire adult bikes. Baby seat available. 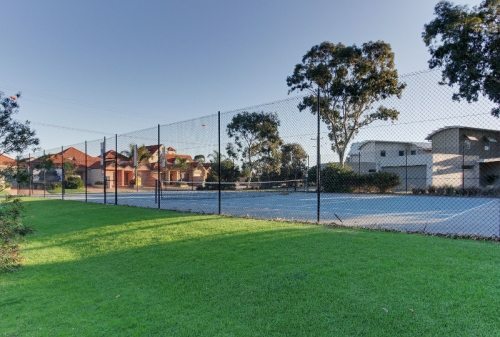 Captains Cove offers a full sized tennis court. Game on! Each apartment has a ground floor & 1st floor private deck. Complete with electric BBQ & outdoor furniture & set in peaceful grounds with birdlife to watch & enjoy ... you won't want to leave this spot. Perfect for entertaining a group or a quiet dinner for 2.